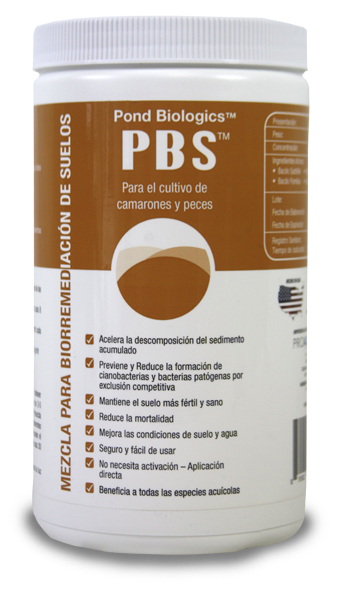 Pond Biologics® PBS™ is a custom blend of beneficial microorganism for use in intensive aquaculture operations. Pond Biologics® Soil Blend reduces pond bottom sediment under intensive cultivation conditions. Improves overall water quality for healthier yields. Maintenance Application: 25 – 100 grams per surface are once per week. 10 grams per 250 gallons of water, once per week. 2 – 5 grams per 250 gallons of water, once per day. Depending on biomass. ©Pond Biologics. All Rights Reserved.